Pretty in pink! 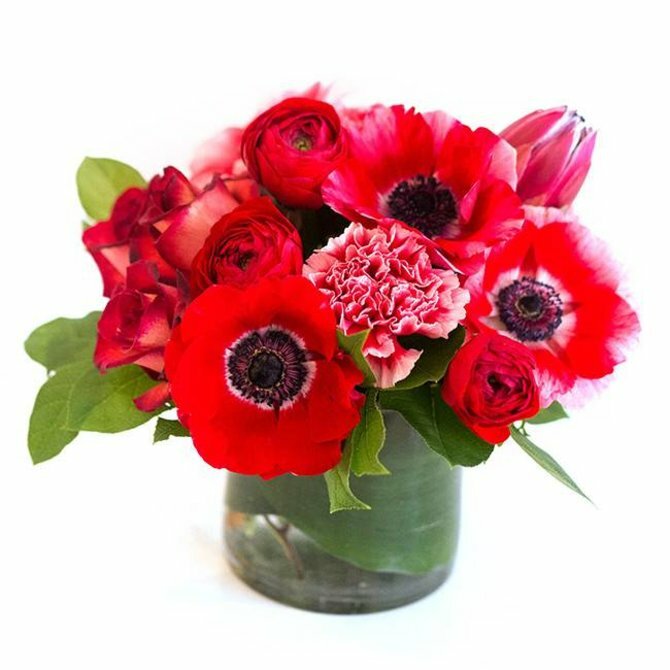 The Chelsea features ranunculus, spray roses, tulips and vibrant greens. 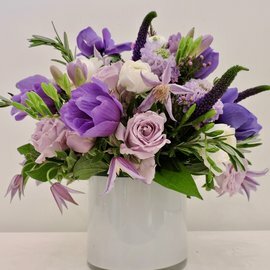 This gorgeous arrangement is presented in a white, glass cylinder. Magnificent tones of purple and lavender for the flower obsessed. 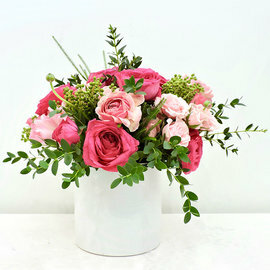 Blooms may include clematis, anemones, ranunculus, roses, freesia and veronica. 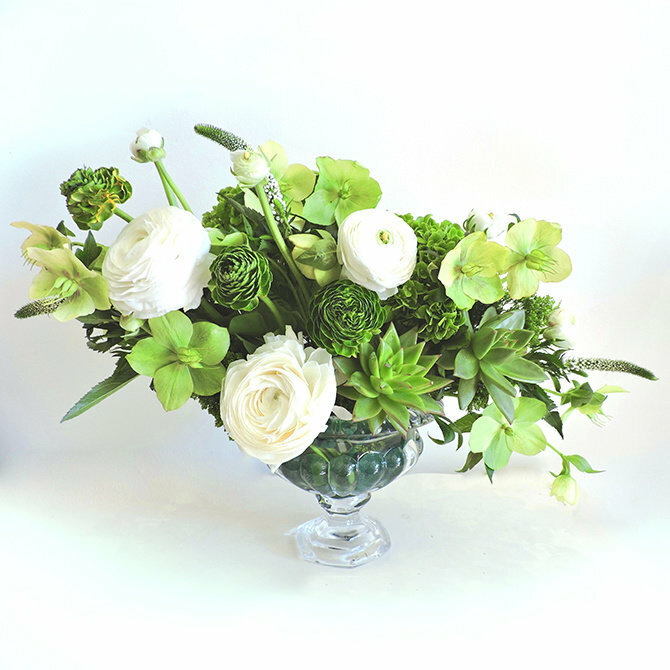 An elegant white and green arrangement presented in a chic pedestal vase. Blooms include ranunculus, helleborus, veronica and green hydrangea. 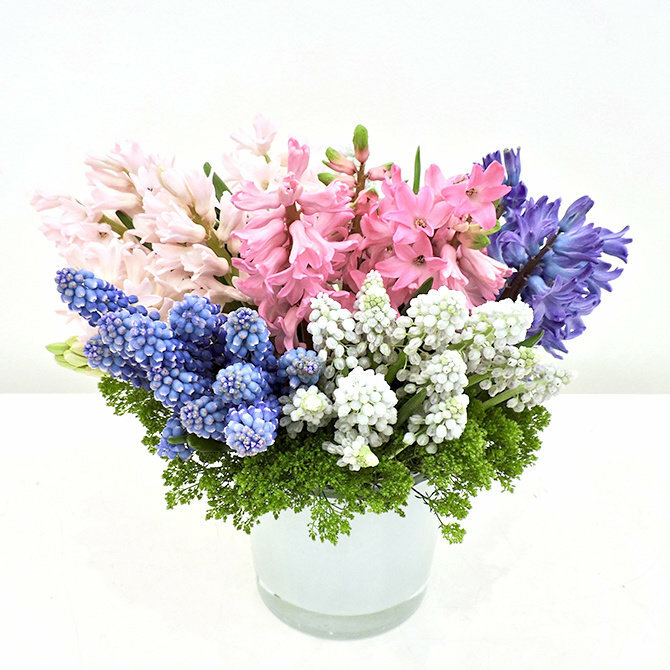 Succulents add an unexpected touch. This piece looks amazing on the center of a table!